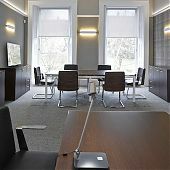 Working in partnership with Keppie Design, The Works supplied Scottish Police Federation's stunning new offices with a range of Italian desking, task and soft seating and storage solutions. 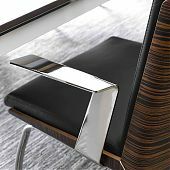 The desking supplied was X4 Bench from Quadrifoglio with the X7 Executive and new T45 range also from Quadrifoglio chosen for the management offices. Storage was principally from Quadrifoglio with the white tambour cabinets from French manufacturer, Buronomic. Seating was from Mesh Office Seating and I-Mix in Italy. The basement canteen was furnished using Offisit Cove chairs and tables with Dishy Sofas and coffee table from Ocee Design for relaxing. Overall, a stunning project and it was a pleasure for The Works by Saxen to be involved.